What is the advantage of choosing an eco-board? Home > News > What is the advantage of choosing an eco-board? Do you understand the top ten advantages of the eco-board? 1. Authentic ecological board products are natural, beautiful, elegant and chic. They have the woody texture and natural texture of solid wood. They have the simple feeling of returning to nature. They can be designed to reflect the aesthetics of modern architecture and the aesthetics of material design through different design forms. Unique effect. 2.The safety eco-board has the characteristics of [long-term use in water", high strength and water resistance, strong impact resistance and no cracking. 3.The wide-area eco-board Great Wall board products are suitable for use in any environment such as living rooms, hotels, entertainment venues, bathing places, offices, kitchens, restrooms, schools, hospitals, sports fields, shopping malls, laboratories, etc. 4.Stable ecological board indoor and outdoor products anti-aging, waterproof, moisture-proof, mildew-proof, anti-corrosion, anti-insect, anti-termite, effective flame retardant, weather resistance, anti-aging and thermal insulation energy saving, can be used for a long time in climate change In the outdoor environment, it does not deteriorate, is not embrittled, and its performance is not bad. 5.uniqueness - the use of wood fiber and polyester mixed heating and injection molding materials, do not use materials containing benzene, formaldehyde, cyanide and other harmful substances, eliminating the decoration pollution, no maintenance and maintenance, no pollution, no pollution And has the characteristics of sound absorption and energy saving. 6.environmental protection - ecological board wood, ecological board and other anti-UV, no radiation, antibacterial, formaldehyde, ammonia, benzene and other harmful substances, in line with national environmental standards and European standards, is the top environmental standards in Europe, no pollution after renovation The odor pollution can be checked in immediately, and it is a truly green product. 7. The recycled eco-wood board has the unique characteristics of recyclable use. 8, comfort - sound insulation, insulation, anti-oil, anti-static. 9. Convenience-can be cut, sawn, planable, nailable, lacquerable, and can be used. Eco-board products have excellent industrial design. Most of them are designed by socket, bayonet and birch. Therefore, The installation saves time and is extremely fast. Simple installation and easy construction. 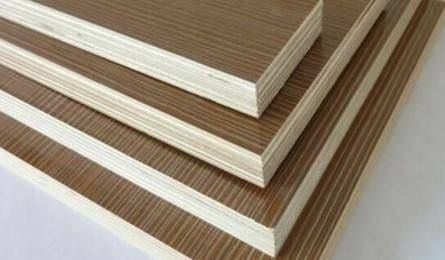 10. not easy to foam, more difficult to burst, good moisture resistance, is the most ideal material for panel furniture.